RAPAPORT... Switzerland’s Gübelin Gem Lab has launched a blockchain for colored gemstones, which, it claims, will enable source verification throughout the entire supply chain. The digital ledger is now open to industry members wishing to place their gemstones on the platform, the Lucerne-based institute said after unveiling it at the AGTA GemFair Tucson show last week. The blockchain will record all transactions involving a stone, enabling participants to see the relevant available data about the piece’s history. Businesses across the supply chain can register for the free program, including miners, dealers, cutters, treaters, laboratories and jewelers. Retailers will then be able to show consumers the entire story of the stone. “The Provenance Proof Blockchain is a truly inclusive solution, applicable to any type of gemstone and open to any stakeholder of the gemstone and jewelry community who is ready to embrace transparency,” Gübelin said Friday. Gübelin launched the tool in cooperation with Everledger, a technology company. 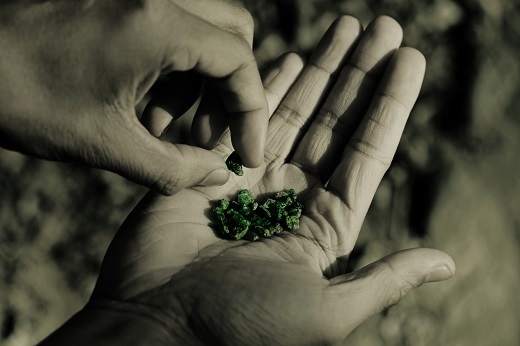 Gemstone miner Fura Gems tested it during the recent pilot phase.